Anybody familiar with 20th century history will recognise the name of Weimar, the attractive Thuringian city whose name is associated with Germany’s interwar republic. The fact that Weimar became part of the German Democratic Republic after World War Two meant it remained off limits to Western travellers for more than four decades. 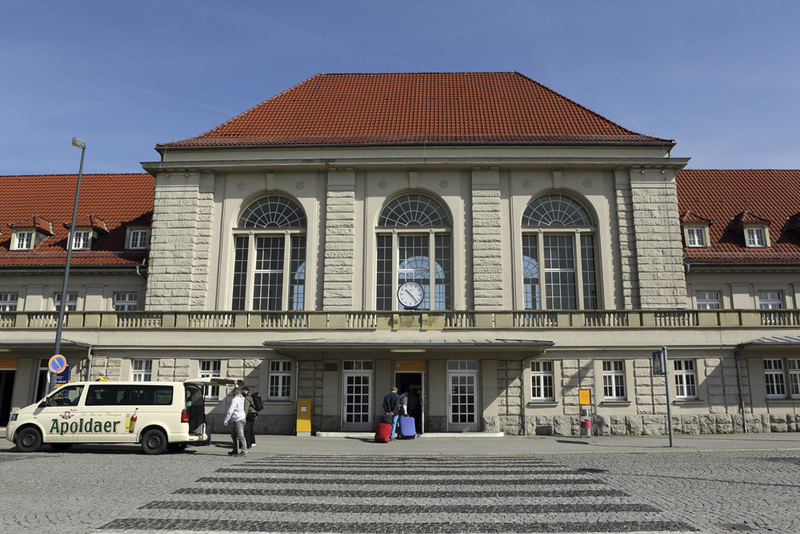 Now, a quarter of a century on since the re-unification of Germany, Weimar can be reached directly from the United Kingdom thanks to flights between London Gatwick and Erfurt-Weimar Airport. The airport is located closer to Erfurt, the capital of Thuringia, than it is to Weimar. It takes around 30 minutes to travel the 44 kilometres between the airport and Weimar by bus transfer. 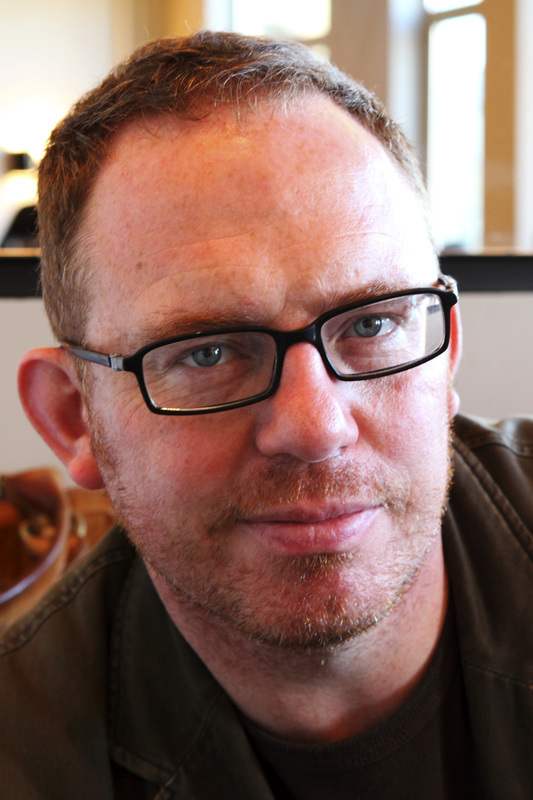 In the period of uncertainty following the end of World War One Berlin was in turmoil. Kaiser Wilhelm II had abdicated and slipped away to the Netherlands. Revolution was in the air. Consequently Germany’s National Assembly it was deemed unsafe to meet in the capital and representatives met in Weimar. They met within the city’s National Theatre to draft the constitution of the new republic. 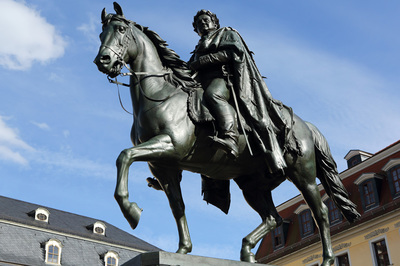 A statue of Friedrich Schiller and Johann Wolfgang von Goethe stands on the square outside of the theatre. 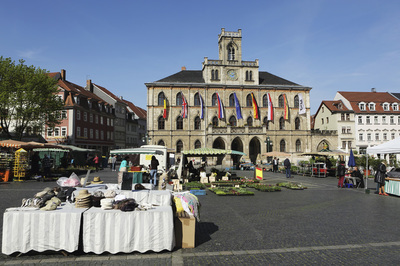 Weimar’s residents regard Theaterplatz as the heart of their city. The two polymaths numbered among a wealth of talented individuals drawn to Weimar by Duchess Anna Amalia and her son Grand Duke Karl August to serve at the court of Saxe-Weimar-Eisenach during its Golden Age under. Consequently, Weimar became one of the leading centres of the Enlightenment. A host of palaces and historic buildings, including the houses of Schiller and Goethe, continue to stand. In 2008 they became part of the Classical Weimar UNESCO World Heritage Site.The City Palace, known to locals as the Residenz Schloss, today houses an art collection and museum proving insights into Weimar’s Golden Age. If you love books don’t miss an opportunity to visit the Anna Amalia Library. You’ll be asked to pull felt slippers over your shoes to view the interior of the three-storey Rococo Hall. 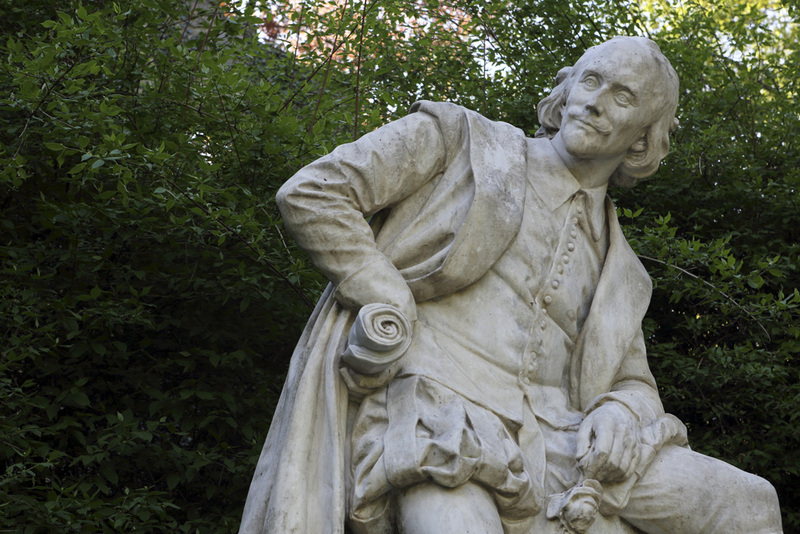 It’s a wonder it exists at all as it was almost destroyed in a fire that broke out on 2 September 2004. Restorers have done an impressive job of refurbishing the building and the important collection of books it contained. 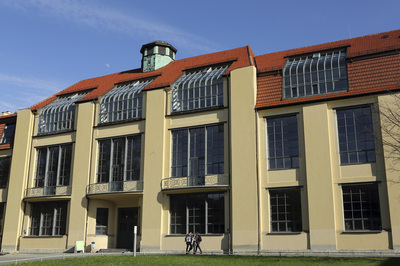 Many visitors are surprised to learn that the Bauhaus movement was born in Weimar. You can gain insights into the influential arts, craft and design movement at the Bauhaus Museum on Theaterplatz. 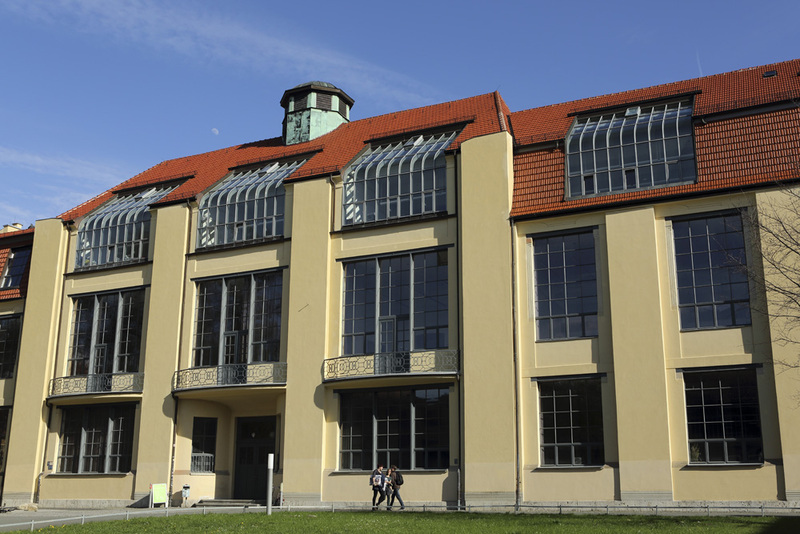 To find out more about the Bauhaus in Weimar you can book onto a tour led by students from the Bauhaus University Weimar. They’ll lead you through points of interest on their campus and to places such as the Haus am Horn - the show house designed by Georg Mulche and built in 1923. 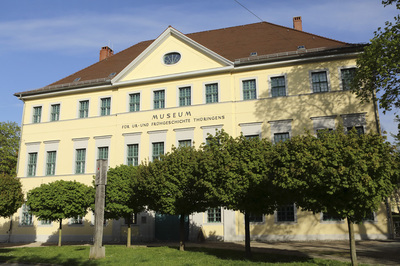 Locations associated with the influential school are commemorated in a UNESCO World Heritage Site spanning Weimar and Dessau. Weimar’s Old Town is compact, so easy to explore on foot. You’re never far from a café where you can order coffee and cake, a German tradition that lends itself well to pauses between sightseeing. The Goethe House comes strongly recommended by locals, who also say it’s worth taking a stroll through the Park an der Ilm if the weather is fine. Yet from the centre of Weimar you don’t need to travel far to be confronted by one of the darkest epochs in modern European history. The Buchenwald Memorial is located roughly ten kilometres north of the city. The concentration camp was built by the Nazis and subsequently used by the Soviets. To the south of Weimar, you can visit Belvedere Palace, a Baroque era hunting lodge surrounded by parkland. If you appreciate historic palaces then you’ll also find it worthwhile setting aside a few hours to visit Ettersburg Palace, which was used as a summer residence by Duchess Anna Amalia between 1776 and 1780, and its well-tended gardens. Weimar is already established a cultural tourism destination within Germany. Year on year more and more foreign visitors are becoming aware of what this Thuringian city has to offer. 25 years on from Germany’s reunification, and with direct connections from the UK, there’s much to see if you decide to holiday here. At Alt Weimar restaurant you can dine on attractively served Thuringian cuisine given a modern twist by chef Sten Fischer. The Zum Weissen Schwan is a traditional German restaurant with more than four-and-a-half centuries of history and located close to the Goethe House. Arguably the best place in town is the Hotel Elephant. 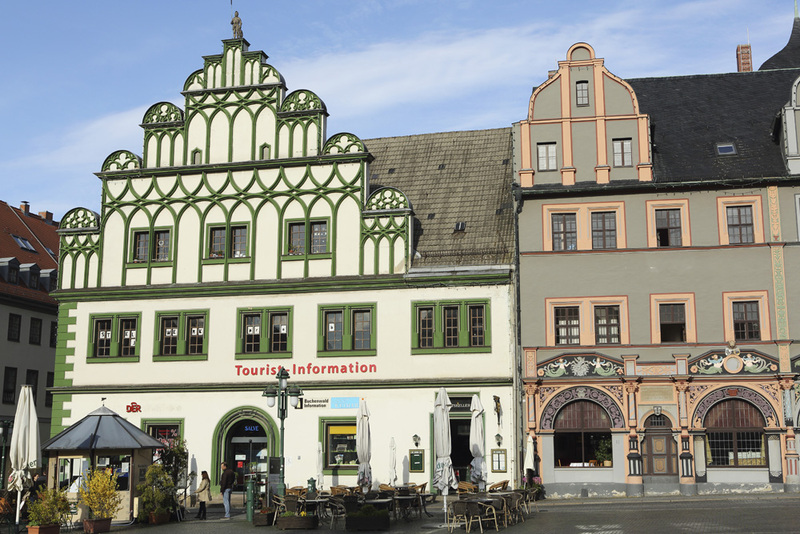 The 99-room, 4-star superior hotel overlooks the Weimar’s market square and has a rich history. If you’re travelling on a budget consider staying at the Gasthof Luise which offers rooms in the city centre and also has a wood-panelled bar-restaurant where you can enjoy locally brewed beer.